Omnivision Studios, PresTop and Dr. Jekill & Mr. Hyde developed together a soundbar with a customized Omnitapps Composer configuration. 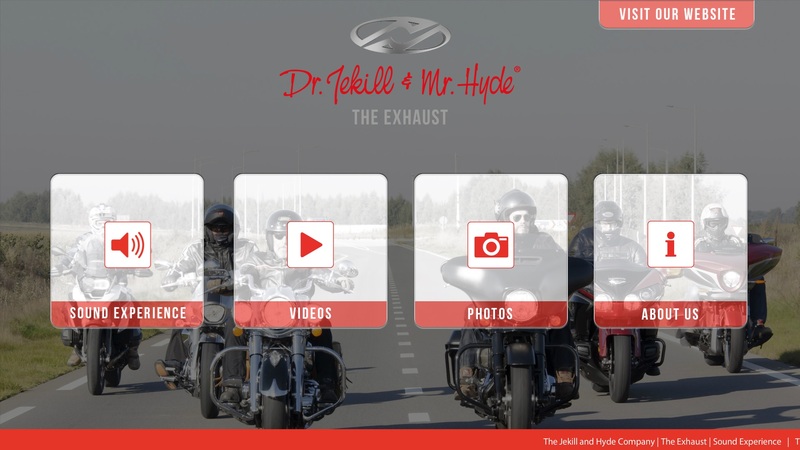 They want to let customers experience the sound and power of their exhaust systems. This is difficult, because not every motor or engine is always available, but with the new soundbar and customized Omnitapps configuration customers can select a type of engine and experience the sound of the engine. A few screenshots from the Dr. Jekill & Mr. Hyde Omnitapps Configuration.